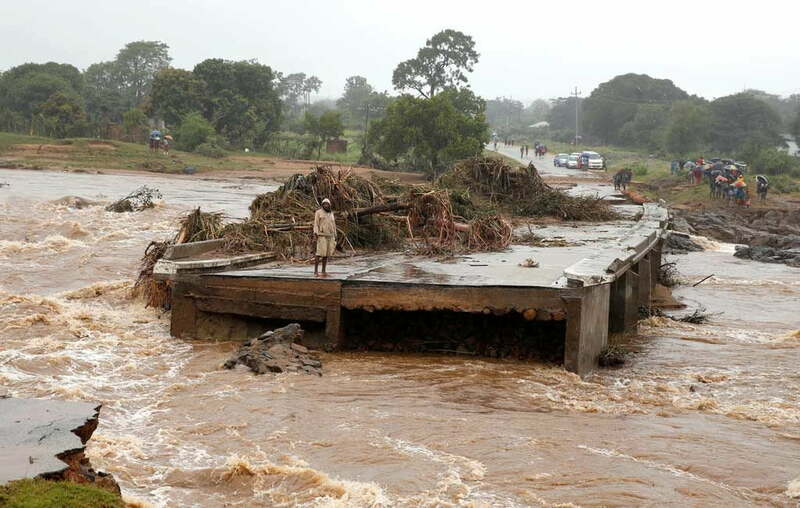 African floods after Cyclone Idai washed out roads and left over 2.5 million people affected in 3 countries including Malawi. 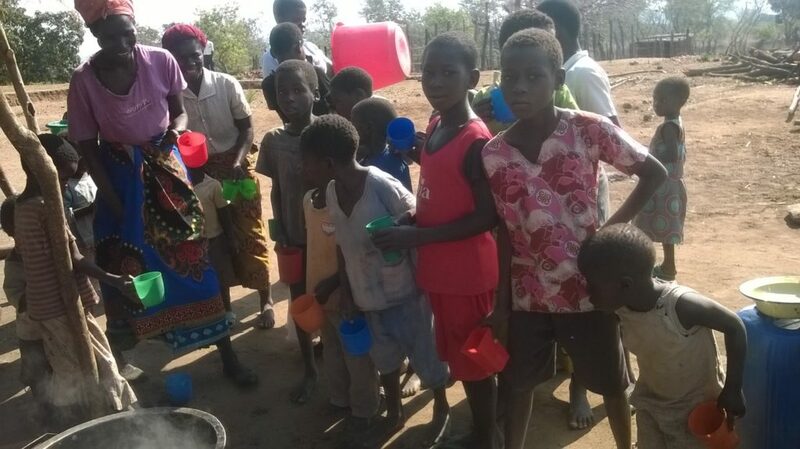 This is an emergency appeal for our Prepare For Change team in charge of our Nova Gaia orphanage in Malawi Africa. 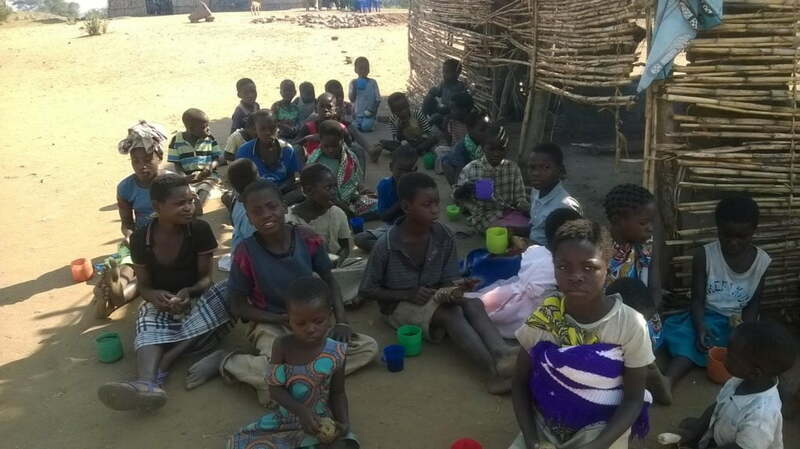 Floods throughout the southeastern region of Africa have displaced hundreds of thousands in the Malawi, Mozambique and Zimbabwe area and have caused heavy damage at our orphanage and surrounding areas. While over 200 have died in Malawi, more than 600 have died nearby in Mozambique. More than 1000 have contracted cholera. We have had deaths at the Orphanage village due to the floods. 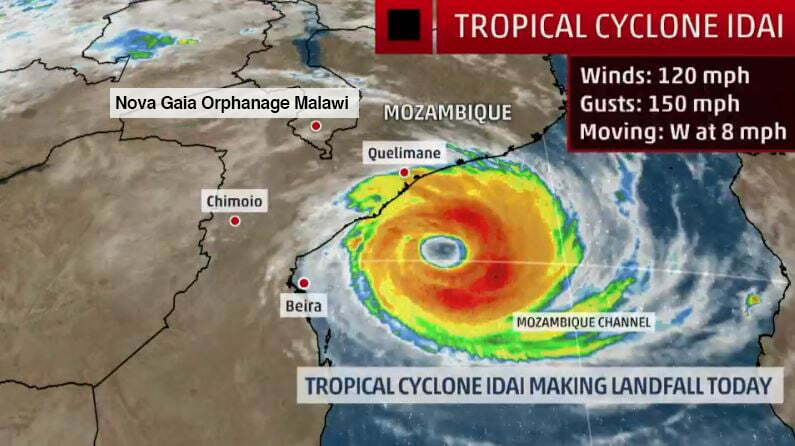 The floods resulted from Cyclone Idai – a devastating tropical storm – that swept across the Mozambique city of Beira leaving it almost totally destroyed. The storm hit on Thursday the 13th of March. Homes, schools, businesses, hospitals have been destroyed and the whole region has seen roads wash away and thousands stranded by the flooding. “Well, things are getting better now but big problem is food, clothes, cooking utensils and others. Since in our area many things (have) happened – more especially damage of houses and death of people. Many people (have) lost their relatives because of floods. While am speaking to you, many people in area of Chikwawa and Nsanje are living in (homelessness), people are sleeping in schools and the like. While Keyason has seen devastation before in his life, we in the west don’t see it or experience it the same way. Where we have decent roads, theirs are washed away. Where we have many resources, theirs are very few. Where we have relief organizations, they have each other. Where we have communications and cell phones, they haven’t the same level of service and few phones among the entire village. Where we have first responders, they don’t have a vehicle in the orphanage. Where we will declare an emergency that will release funds, they will struggle with medications to combat disease. The flood is only the start of a serious humanitarian crisis that’s unfolding for the three countries involved. Many areas are without electricity and they risk losing their food harvest all over the area. Cholera has just started to spread in the area. We have to step up and seriously help in any way we can. Please help us by donating today! 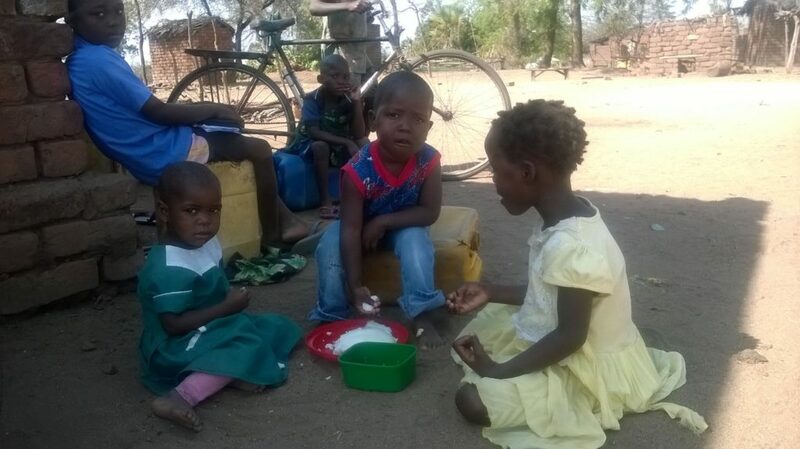 As most of you may already know Prepare For Change has created and funded this humanitarian project, an orphanage, in Malawi, Africa because of the great need there – we are compelled to assist the people of the region. Malawi is one of the poorest countries in the world. It is also one of the smallest countries in Africa. Getting help to our 460 little friends will be difficult, if not impossible, but we need to try to assist them in any way we can. 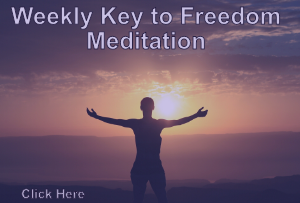 Our community of Light Workers heals the planet and Prepare For Change made the decision to help the world starting where help is needed the most. The floods have put a damper on our communications with the delegation that we hope to send to the village. Right now, we need to provide additional aid in addition to our steady and regular support. Please listeners, heed our calls and continue your generous support. To donate financial support that is making a significant difference in the lives of 460 orphans and in so many other people’s lives, like battered women & elderly that we also tend at the orphanage – please go to our website Prepareforchange.net and click on the “donate” button on the right side of the home page. For PayPal donations use the email [email protected] or just send us an email if you feel like participating in other ways to help our orphanage project. If possible, we ask you to look into your hearts today and instead of making a one-time donation only, to please make it a recurring contribution by donating monthly to be able to continue this amazing project. We desperately need your help at this time. All your donations are 100% tax deductible because Prepare for Change is a non- profit 501 (3)(c) charity organization based in Los Angeles. You may also send us checks or money orders via snail mail Payable to: “Prepare For Change Foundation” at 1441 Huntington Drive. #1110, South Pasadena, California 91030 USA. Rains like what Africa is experiencing is almost biblical. An equal response is needed to provide relief to our loved ones there. Please do all you can. “TOGETHER” we can change the world!